Pharmacy technicians are trained health care professionals who support pharmacists in hospital and retail pharmacies. They prepare and fill prescriptions, dispense medications, manage inventory, and label supplies. 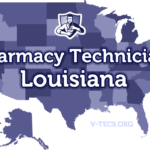 The Louisiana Board of Pharmacy governs the practice of pharmacy in the state and requires prospective technicians to register, complete 600 hours of training, and obtain PTCB certification. The Board’s requirements help uphold safe practices, but also help technician develop the competency to fill an increasingly developing role. The Louisiana Board of Pharmacy regulates the practice of pharmacy within the state. An individual seeking to practice as a pharmacy technician must have a Louisiana Pharmacy Technician Certificate. In order to obtain the certificate, the candidate must complete 600 hours of practical experience at a Louisiana-licensed pharmacy only after acquiring a Pharmacy Technician Candidate Registration. The Board will issue the Candidate Registration to persons who are 18 years and older, possess a high school diploma and pass a criminal background check. Since the candidate registration in non-renewable, applicants must meet the requirements for Certificate Registration within the 18-month period. Apart from the 600 hours of practical experience, candidates must complete the requirements for PTCB certification. Registration is a privilege and pharmacy technicians must take responsibility for their actions prior to and following registration. They have a duty to learn the laws and rules that govern pharmacy technicians and their practice. The Board’s rules and regulations are available on the website. Failure to abide by the laws could result in disciplinary actions, including a letter of warning, letter of reprimand, a suspended certificate, or revoked certificate. The Board may also subject a fine up to $5,000 to cover the costs of investigation and prosecution. Technicians must complete the Board-required continuing education requirements (separate from the PTCB’s requirements) to renew annually and continue practicing pharmacy. Pharmacy technicians must be 18 years and older to register as candidate in preparation for the Pharmacy Technician Certification. Applicants must submit evidence of completing high school or equivalent education with the application for registration. The Board requires a legible copy of a high school diploma or university degree or official transcripts from either institution. The Louisiana Board of Pharmacy will not issue a license without receiving and reviewing a criminal history report. Candidates should have a good moral character with no criminal convictions, felonies, and misdemeanors. The investigation will include a search of LA Department of Public Safety and the FBI. The cost for the CBC is $42.50 payable to the LA State Police. Graduates of accredited pharmacy technician programs understand the basic aspects of pharmacy practice, including interpreting, filling and dispensing prescriptions. Graduates also understand a pharmacy’s legal responsibility to maintain patient records and proper handling of various drug categories. Instruction in common drug interactions, medications, pharmaceutical agents, and pharmaceutical calculations helps graduates become reliable members of the pharmacy healthcare team. Louisiana has more than a dozen ASHP accredited training programs at colleges, universities, and vocational schools. In accordance with the Board’s guidelines, students spend more than 200 hours completing didactic and experiential training at state hospitals and community pharmacies. The practical training in multiple settings exposes students to the varying responsibilities in each setting. Pharmacy employers also provide training to employees. These training programs/work study cover 600 plus hours of experience as required by the Board. The pharmacist/trainer covers topics, such as medical abbreviations, introduction to pharmacy practice, pharmacy calculations, pharmacy law and ethics, anatomy and physiology, and drug interactions. Students wishing to enroll in a pharmacy technician class should have a high school diploma or Louisiana High School Equivalency. The training provider may also conduct a criminal background check, drug screen, and require applicants to take a TB test. Pharmacy technician training programs in Louisiana are more expensive than most. At an average cost of $14,750, before financial aid, the training program covers all the essential areas students need to pass the state exam and succeed on the job. Apart from tuition, students must budget for registration fees, uniform, textbooks, lab fees, insurance, exam fees and other miscellaneous expenses. Financial aid may be available for qualifying students. The mounting cost of traditional training drives many students towards employer-based training wherever they’re available. The training through employers are often free, and students can earn a stipend while studying. In order to promote the value of pharmacy-based programs, the Board of Pharmacy maintains a growing list of more than 100 approved pharmacy providers. The duration of training at formal institutes can last up to 18 months for diploma programs. Employer training covers 600 hours of training, which can also extend up to 18 months. The training prepares students for the PTCB exam, which represents an additional cost of $129. National certification is an important part of the registration process in Louisiana. In order to secure the Pharmacy Technician Certificate, a candidate must complete the requirements for PTCB certification within 18 months of registering as a candidate. Due to PTCB certification and other strict requirements, Louisiana’s pharmacy technicians can easily transfer their skills to other states. National certification also helps them earn pharmacists’ respect and confidence, which leads to better salaries. The PTCB has specific requirements for certifying candidates. Applicants must be high school graduates at least 18 years old. They must also pass a criminal background check and agree to abide by the PTCB’s policies before the Board grants approval to take the exam. The 2-hour exam is available at computerized Pearson Vue testing centers in Louisiana. The exam is a multiple-choice evaluation that tests candidates’ knowledge of six critical domains. The cost of certification is $129 and $40 for the biennial renewal. CPhTs must also complete the Continuing Pharmacy Education requirements to renew their certification. All candidates must register with the Board before practicing as a pharmacy technician. The state requires technicians first to register as a candidate and complete 600 hours of practical experience at a licensed pharmacy and acquire PTCB certification before submitting an application for certificate registration. Applicants must be 18 years or older, of good moral character with no impairments, a high school graduate and pass a criminal background check. Make sure you read and understand all the requirements for obtaining a Pharmacy Technician Certificate before submitting the application for candidate registration. Enclose a check or money order, payable to the Louisiana Board of Pharmacy for the amount of $25. Include legible copies of your birth certificate, passport or naturalization documents, and your social security card. Provide a legible copy of your high school diploma or university degree. The Board will also accept official transcripts from a high school or university. Attach a recent photo (within 6 months) to the application. Sign the completed application in the presence of a notary public. Once you submit the application to the address provided below, the Board will provide instructions for completing a criminal background check with the Louisiana Department of Public Safety and the FBI. The Board will not issue a registration before receiving and reviewing the contents of the criminal history report. The candidate permit expires 18 months after issue. During this time, the license holder must complete 600 hours of training (50 hours max per week) and pass the exam administered by the PTCB. To continue working, the candidate must apply for the Pharmacy Technician Certificate. 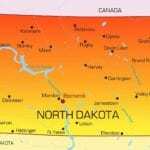 Legal documentation of a name change beyond the name recorded on your birth certificate. Check or money order in the amount of $100, payable to the Louisiana Board of Pharmacy. Proof of successful completion of the PTCB exam- a legible copy of the wall certificate. Proof of at least 600 hours of practical training documented on a Pharmacist Affidavit form – use separate forms if you complete the practical experience at multiple pharmacies. The Board requires proof of completion of an accredited training program for applications submitted after January 1, 2016. Before issuing the Pharmacy Technician Certificate, the Board must submit your name to the Louisiana Office of Student Financial Assistance and the LA Department of Social Services to verify that you’re not in default on any student loans or court-ordered support payments. All technician certificates expire on June 30 annually. Technicians who practice with expired certificate will be subject to disciplinary actions. The renewal cycle begins from May 1 ad runs through June 30. The Board facilitates online renewal for faster processing. As an alternative, you can retrieve an electronic form, fill out the information and mail to the Board along with your check or money order. Following are the steps for renewal. Renew your certificate online and pay the $50 renewal using a credit card or print the electronic renewal form. Renew the certificate before June 30 to avoid the $275 penalty. Demonstrate completion of at least 10 hours of ACPE-accredited technician CPE in the previous 12-month period. Technicians must ensure the CPE meets the Louisiana Board of Pharmacy specifications as they differ from those outlined by the PTCB. 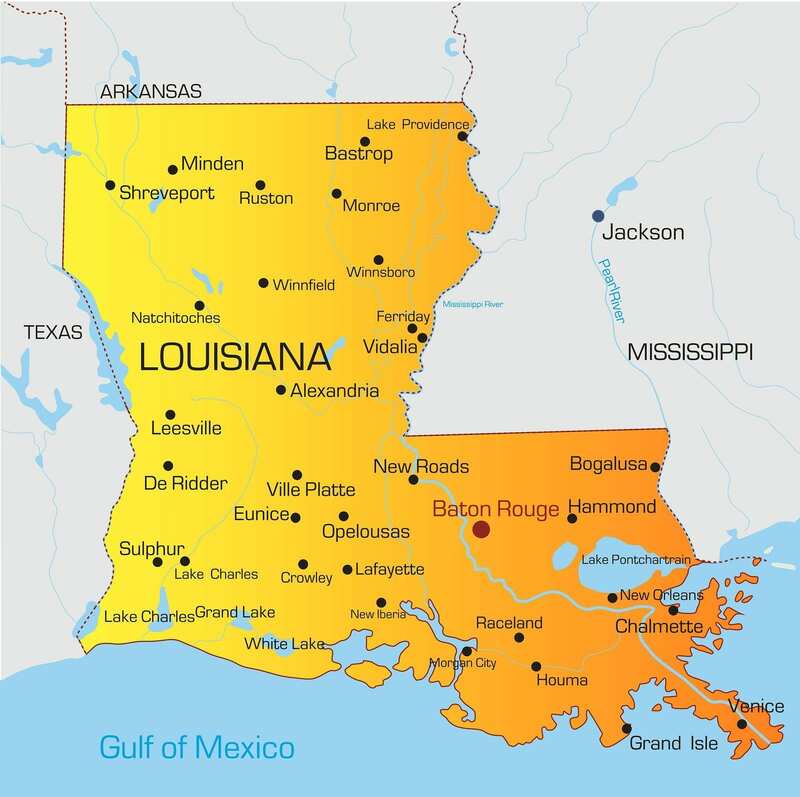 Due to Louisiana’s unique registration process, the state does not practice reciprocity with other states. 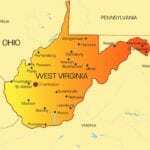 Pharmacy technicians from other states must meet the requirements and follow the steps for a new registration.